Kick off summertime with all your favorite Memorial Day recipes! Whether you are having a picnic or hosting a party in your backyard, celebrate Memorial Day weekend with our grilling recipes, seasonal drinks, and colorful side dishes. It’s time to get pinning! 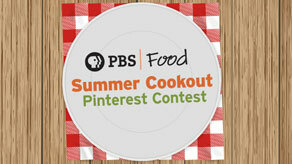 Select your favorite Summer cookout recipe, and you’ll be entered to win a prize pack of cookbooks from PBS chefs!